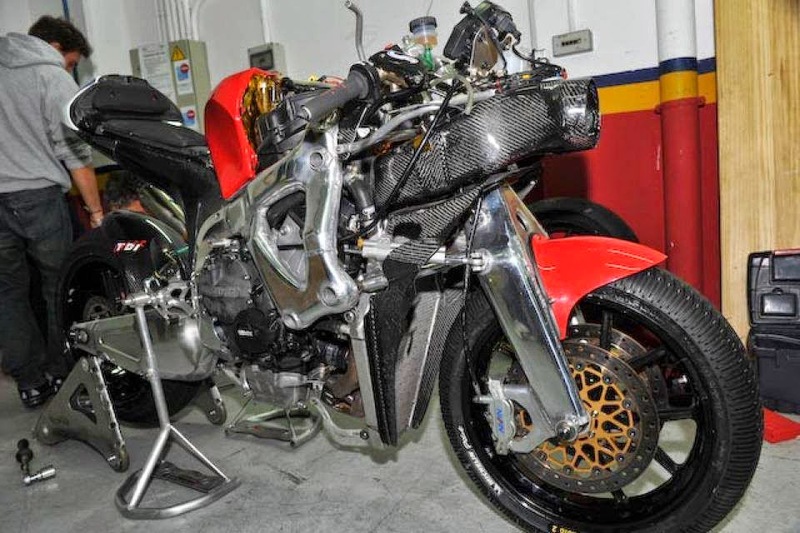 Something about this Promoto Sport (Transfiormers) bike (running in Moto2 this weekend) is not like the other ones. You guessed it! A variation of a Hossack front end. We'll see if it does anything special at Brno.